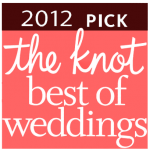 The team here at House of Trends is very proud to announce we’ve been voted Best Wedding Salon by The Knot—for our second year in a row! We’d like to extend our thanks to all of our wonderful Staten Island and New Jersey clients, past, present and future for helping to make this a reality. We’ll make sure to keep up the good work!